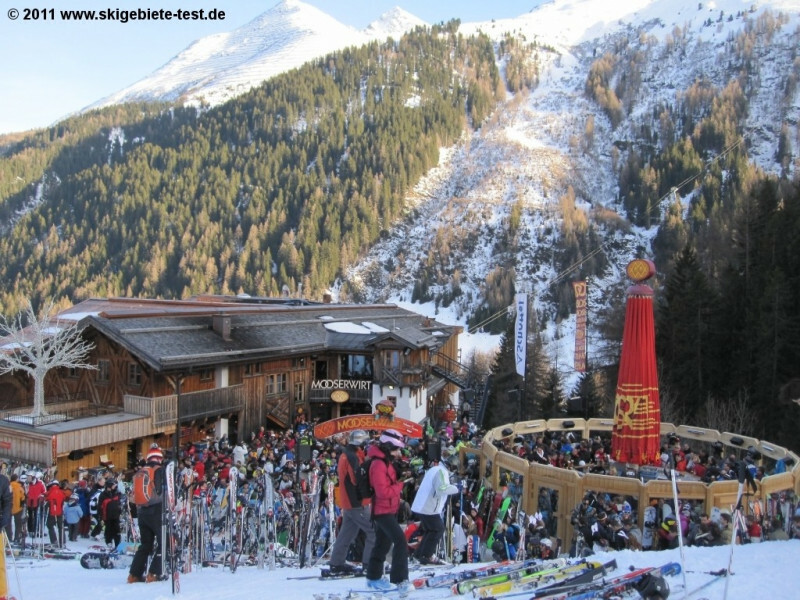 Elevated between 4278 ft and 9222 ft, the Ski Resort is among the 15 highest elevated Ski Resorts in Austria. The vertical drop from summit to base is 4944 ft. The average difference in altitude between base and summit of Ski Resorts in Austria is 2388 ft. Most runs are therefore relatively long. 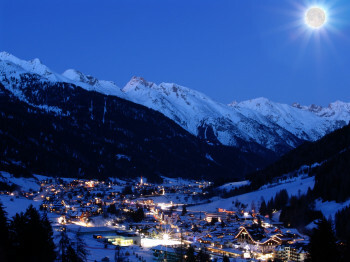 St. Anton (Ski Arlberg) is among the 3 best rated Ski Resorts in Austria. 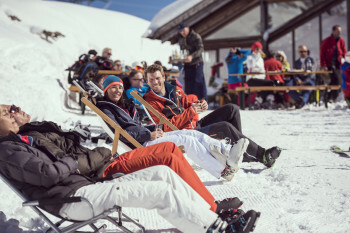 It is among the 15 most family-friendly ski Resorts in Austria. Season starts on Nov 30 and ends on Apr 28 (149 days). Average season duration in Austria is 114 days. Average snow depth during the season (Nov 30 to Apr 28) is 93 " at summit elevation and 25 " at base elevation. Snow coverage is usually best during March, offering an average snow depth of 119 " at summit elevation and 30 " at the base. 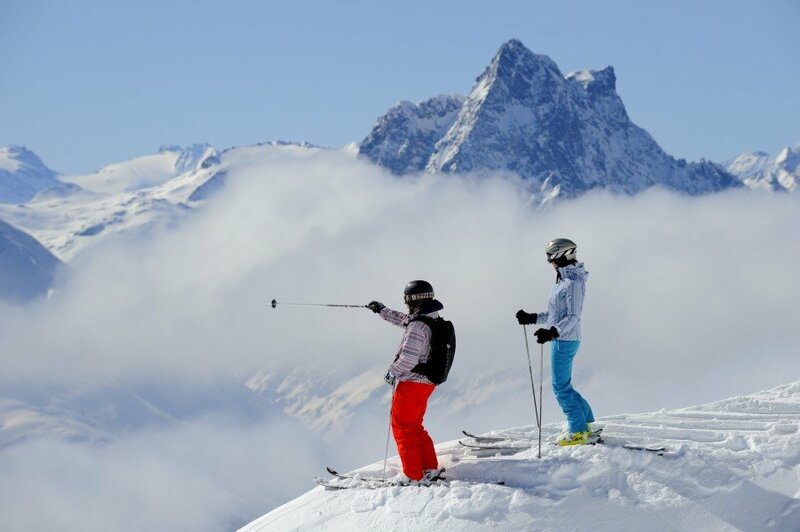 Therefore St. Anton (Ski Arlberg) is among the 15 ski Resorts with best snow conditions in Austria. 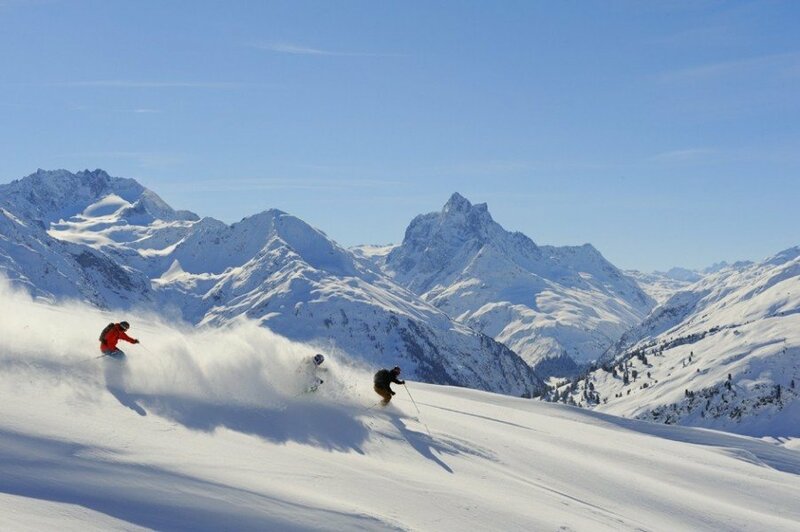 St. Anton (Ski Arlberg) features 69 sunny days on average per season. The average for all ski Resorts in Austria is 64 sunny days. April is the sunniest month with an average of 20 sunny days. Offering 190 miles of slopes and terrain, St. Anton (Ski Arlberg) is the largest ski resort in Austria. 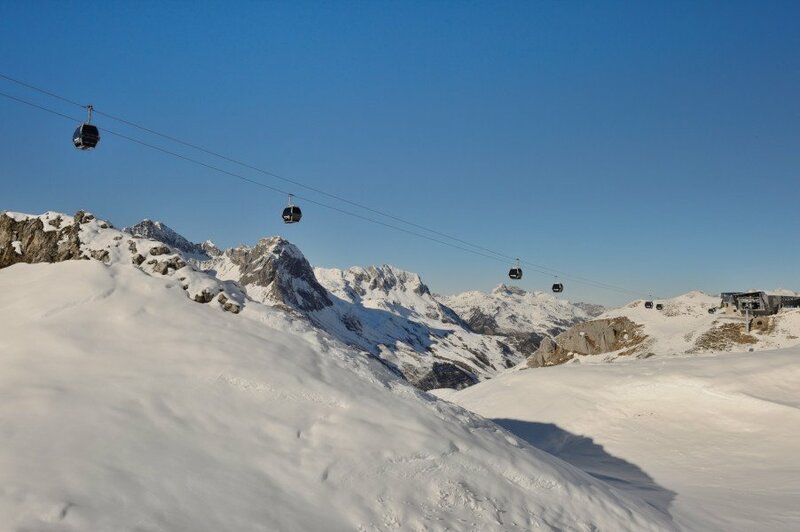 The tradition-steeped ski resort St. Anton am Arlberg is a pioneer considering winter sport. Here´s the place where Hannes Schneider founded the first ski school back in 1921. He also invented a totally new driving technique that replaced telemark skiing and made the parallel skiing to what it is today. The association provides a total of 350 kilometers (211 miles) of runs. Snow machines are available. Hence, even if nature isn´t willing to treat the area with snow you can be sure to find best snow conditions from the beginning of December to Mid-April what makes it to an expanded season.You have two options starting in St. Anton: Take the trails in the valley at Rendl or head towards Gampen/ Kapall and Galzig. A great descend area in form of blue runs welcomes beginners above the timberline at Rendl´s summit. These are runs away from the hassle where you can enjoy your own little slice of the mountain and don´t have an audience when you are trying to learn. Once you feel more comfortable on your skis, try to race others on the giant slalom race course and the speed run. Your only way back to the valley is the red marked Rendl- slope (Nr. R1).The trails at Gampen/ Kapall and Galzig are a signature portion of this mountain and offer a seemingly endless variety. You´ll find runs for abilities and levels in form of blues, reds and blacks. In Gampen is a great beginner area where novices can practice first curves. There are more easy runs at Galzig. Go ahead and explore the average difficulty slopes like the FIS- run Gstand (No.37) at Kapall as soon as you have a little bit more knowledge. Grab the Valluga gondola to experience the longest slope in the resort starting at the Valluga summit. It tops out at 2650 meters (8694 feet) and takes you back to base, past the mid-mountain restaurant Ulmer Hütte and through the Steißbachtal. 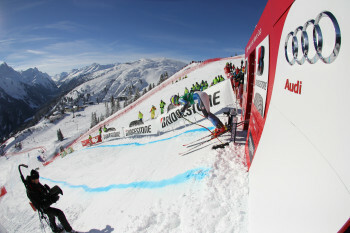 Expert skiers may take the black descends Kandahar-Kapall (No.35), Fang (No. 25) or Kandahar-Galzig (No. 2).A great alternative: Head towards St. Christoph at Galzig. Ride chairlift Arlenmähder to find the top station from where you have access to Valfagehr trail to Stuben. From Albonagrat is the fourth part of the ski resort accessible. Those intermediate trails are usually not too crowded. Stuben itself boasts great but short training runs for ski beginners.Thanks to the common ski pass you can actually enjoy the trails in Lech Zürs and Klostertal. The mountain features something for every palate. Verwallstube serves the greatest touquet cuisine at an altitude of 2085 meters (6840 feet). It´s well-known for fantastic fish specialties. Bella Vita is good if you´re up for an Italian lunch while Rendl restaurant serves dishes from the wok. 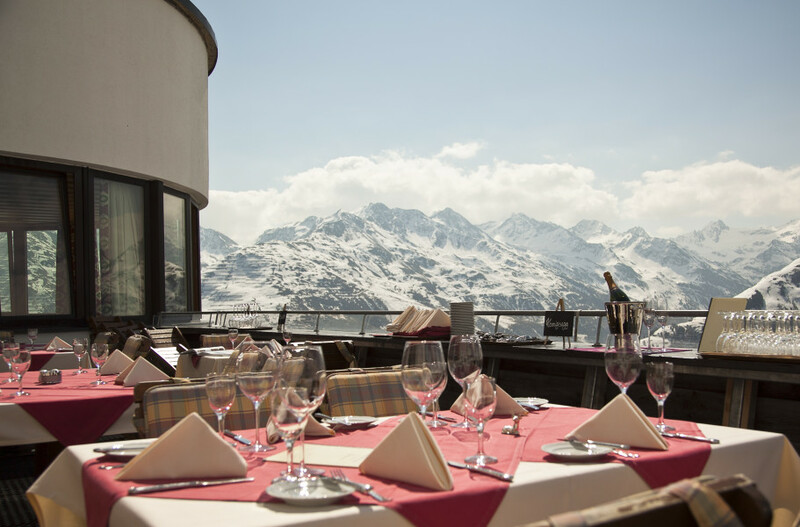 If you want to try the local cuisine, meaning Tyrolean specialties, pay a visit to the Gampen restaurant. Enjoy refined food in the highest hut of the area at 2300 (7545 feet) meter vertical feet above the towns. It comes with killer views and a generous sun deck. Definitely don´t miss the 9 kilometer run from Vallugagrat to St. Anton am Arlberg in addition to the FIS- runs of the Alpine Skiing World Cup from 2001 at Gampen/ Kapall (No. 35 and 37) if you count yourself among experienced winter athletes. 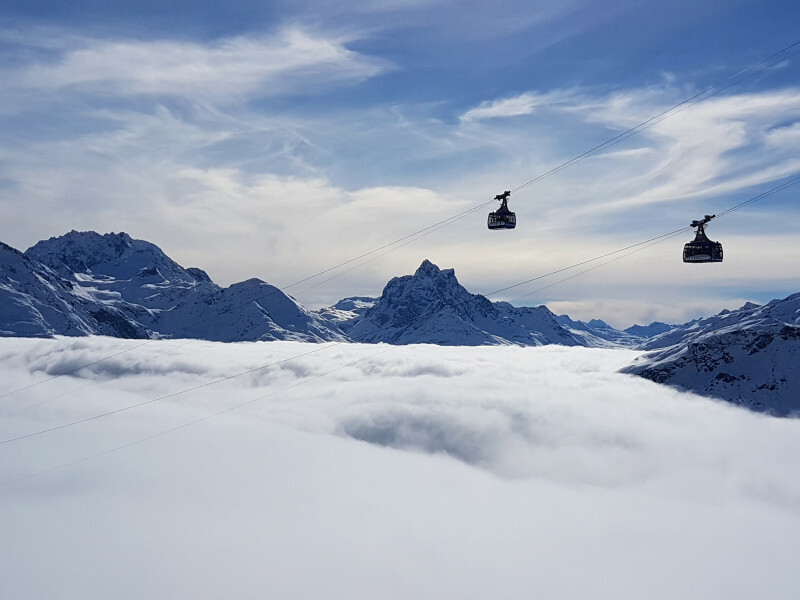 You will find countless non-skiing activities in St. Anton am Arlberg that will keep you entertained even if you´re not into skiing or snowboarding. What a thrill! That´s what you´ll say once you´ve experienced the 4,3 km (2,6 miles) long natural tobogganrun from Gampen to Nasserein. More runs are in Petttneu, Schnann, Flirsch and Strengen. Give hiking a shot by exploring the 70 well-prepared kilometers (43 miles) of winter hiking tracks. Located right in the center of St. Anton am Arlberg is an ice-skating rink. The only climb route in the whole area of Tyrol is an other great option to spend some time in the clear winter air. The route is at the Rendl and yet has a length of 850 meter (2788 feet). From here you have a breathtaking panorama of the Verwall mountains and the Lechtaler alps. If the weather plays along the view extends to Southern Tyrol. All indoor types who still want to be sportive will love the sport center arl.rock. Next to an indoor climbing hall you´ll find a bowling alley and squash courts. The wellness park Arlberg Stanzertal in Pettneu or ARLBERG- well.com in St. Anton are great sources for relaxation. The swimming pools, steam baths and sauna will even please the most exhausted skiers. For those who are into culture: a visit at the museum of skiing and local history in the Arlberg-Kandahar house is highly worthwhile. Visitors dive deep into the world of the skiing history- after all Arlberg is the pioneer resort for alpine skiing. 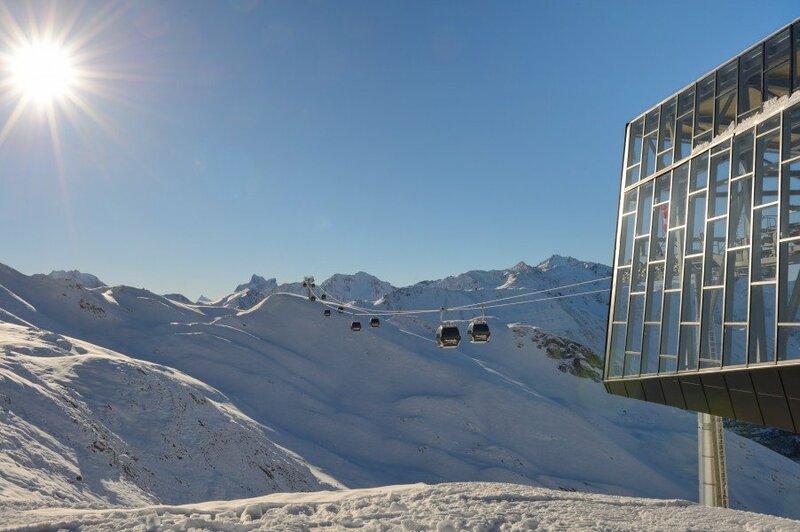 St. Anton am Arlberg is not only a pioneer for alpine winter sport but also well-know for being THE apres-ski spot. Most of the umbrella and snow bars are halfway up the mountain. Popular meeting points are Gampen bar and Patteriol bar. The party nights at Mooser Wirth and Krazy Kanguruh in the lower section are often called legendary by locals and seasonnaires. The party continues in St. Anton. In town there are loads of bars welcoming with tasty cocktails and dangerously great mixed drinks. And if your bed still isn´t beckoning you then Kandahar and Piccadily are open until the crack of dawn. Vacationers can choose between about 80 restaurants- including touquet cuisine. Europe´s touquet restaurant with the highest altitude, the Verwallstube, is definitely worth a visit in your free time. The view from 2.085 meters (6840 feet), the unique wine list and great fish specialties are convincing arguments, aren´t they? Raffl´s in the valley has a varied menu including local dishes but you will also notice international influence. Hospiz in St. Christoph specializes in sophisticated food by using only local ingredients. Hotel Alte Post combines great food and a special environment. It´s awarded with a toquet and serves in rooms with a original panel from the 18th century. Take Inntal freeway (A 12) to reach St. Anton am Arlberg. Pass by Innsbruch and Landeck. From Munich it´s also possible to get to Landeck via Fernpass. Coming from the West, drive on A14 to Feldkirch and Bludenz and follow S16. Reach the ski resort via Arlbergpass or Arlberg tunnel. It´s not complicated to get to St. Anton am Arlberg by train. All international express trains have stops here what makes it fairly uncomplicated for winter vacationers to get here. The next airports are Innsbruck (100 kilometers away) and Friedrichshafen (130 kilometers away). ... Ja also, als Anfänger darf man nicht nach St. Anton! Wenn ich das gewusst hätte das die Pisten zwar Blau bezeichnet sind, dann jedoch rot bis schwarz sind, wäre ich erst gar nicht angereist!